IsoFusion is a leading provider of internet access and IT services in the Puget Sound region. With more than 20 years of experience in internet connectivity and IT solutions, IsoFusion is one of the largest privately owned internet service providers in the northwest. IsoFusion's veteran management team, solid technical foundations, and dedication to helping customers achieve their internet goals make IsoFusion the best choice for internet and IT services. IsoFusion was created by two of the largest and most experienced internet service providers in the northwest; Optic Fusion and ISOMEDIA. IsoFusion is the result of a joint marketing and management agreement between these two companies. IsoFusion was designed to take advantage of each organization's strengths, forming strong synergies to enhance the experience of customers and foster new business. The two companies' combined service offerings and management teams result in a stronger, more competitive organization allowing for both companies to better manage customers and strengthen market efforts for their diverse services. ISOMEDIA has been one of the leaders in internet services for businesses in the northwest since its internet division was created in 1994. ISOMEDIA offers a complete range of internet and IT services including fast, reliable internet connectivity options, business-class phone services, dedicated and virtual private server options, gigabit fiber connectivity, dedicated wireless and more. 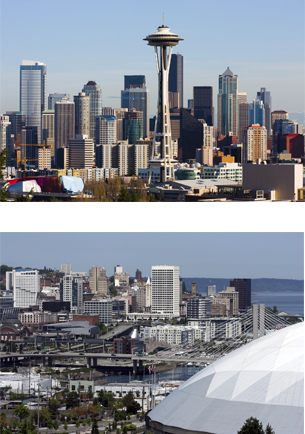 ISOMEDIA's five colocation facilities are conveniently located across the Seattle area with data centers in Redmond, Bellevue, and downtown Seattle. Each facility has superior connectivity, cooling, and power management systems to ensure your servers and applications are always available. IsoFusion's range of services, network capacity, and customer-focused support combine to provide the highest level of quality at a competitive price. IsoFusion is committed to providing un-paralleled service and top of class customer support to every customer. IsoFusion is the best choice for your internet and IT service needs.